The Clash of the Titans is the most prestigious fight night show in our sport in the UK. This spectacular night of kickboxing is taking place in Huddersfield on the 16th March. Doors open at 5.30pm and the show starts at 7.00pm. The best martial arts fighters across the UK will be on show at this event including a number of fighters from the BCKA. 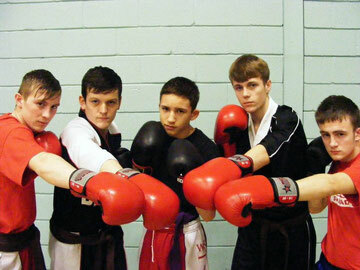 In the adults representing the Chinese Kickboxing Select team are Alex Barrowman, Kevin Williams and Jo Redman. Our younger fighters will also be participating in a BCKA team - Jack Bristowe, Kieren Wilson, Daniel Laing, Lewis Gemmill and Nikolai Milanov. For further information please see Alex Barrowman. This is a great opportunity to see some of the best fighters in Martial Arts today. Come along and support your fighters on the biggest stage in Martial Arts in the UK. Tickets are £25 per adult, £12.50 per child on the door.